Nye’s approach to the atrocious practice of gay conversion therapy is just as creative as you’d expect. By using a variety of ice cream flavors to describe a diverse array of sexualities, he shows that it’s downright tyrannical to attempt to change someone’s sexuality or gender identity. In the animated video, vanilla holds a very important meeting to tell all the other ice cream flavors that they should be vanilla, too. "As vanilla, I feel that I am the most natural of the ice creams. And therefore the rest of you should just go ahead and also be vanilla," the talking ice cream cone asserts. "It's the one true flavor." Luckily, the other flavors stand up to vanilla and he’s the one who realizes he needs to change (his viewpoints, that is). 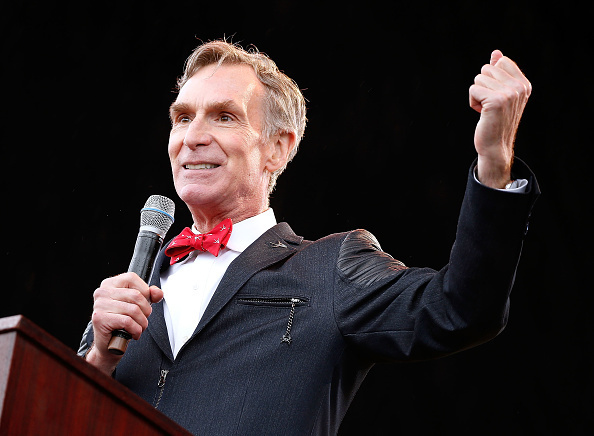 Leave it to Bill Nye to explain gay conversion therapy in the best, most creative way possible. Ice cream conversion therapy sounds completely ridiculous, right? Well, as Nye shows, gay conversion therapy isn’t just ridiculous — it’s cruel and harmful.